Paul Menard became the newest first-time NASCAR Sprint Cup Series (NSCS) winner today as he took his No. 27 Nibco/Menards Chevrolet to the Brickyard 400 (BY400) Victory Lane at Indianapolis Motor Speedway (IMS). 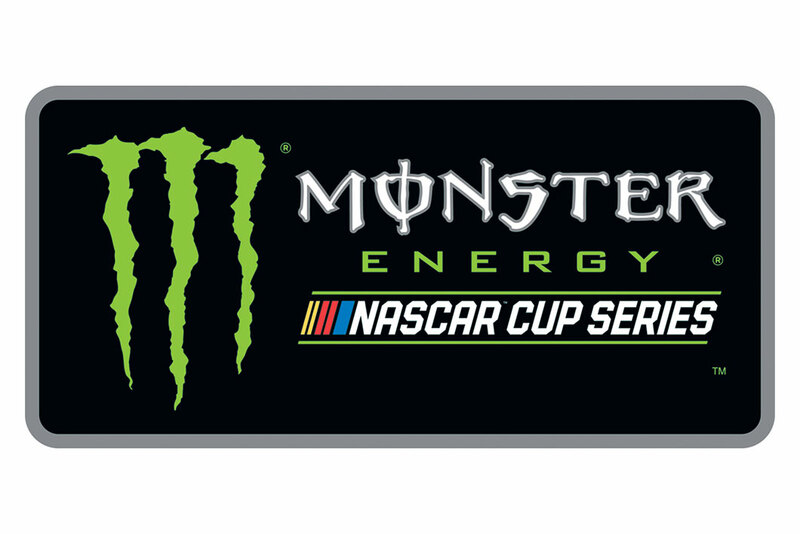 The Richard Childress Racing driver started 15th and led four times for a total of 21 laps on the way to the checkered flag. 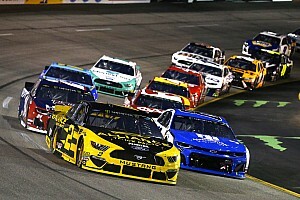 The win also gave Chevrolet is ninth consecutive win in the prestigious race and the 13th of the 18 NSCS races held at the famed 2.5-mile speedway. It is the third trip to the IMS Winner’s Circle for team owner Richard Childress who scored wins in 1995 with Dale Earnhardt, Sr. and 2003 with Kevin Harvick. Pit strategy and a smooth throttle to conserve the needed fuel propelled the Wisconsin native to not only his career-first win, but at a track where his family has a storied history of 35 years of competition in open wheel racing. With the victory, Menard becomes the first driver eligible for the Sprint Summer Showdown $3 million payout. He moves to 14th in the NSCS standings and is in position for a wild-card berth in the Chase for the NASCAR Sprint Cup. 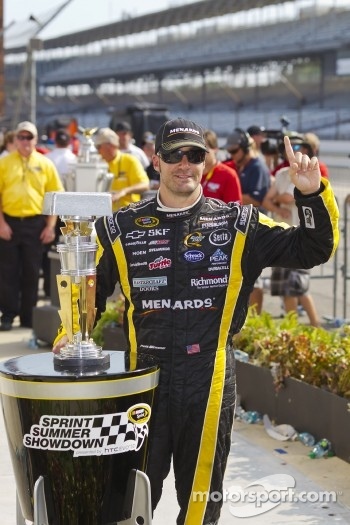 Photo by: Ashley Dickerson, ASP Inc.
With Menard’s victory, Chevrolet has now tallied nine wins in 20 races this season and continues to lead the NSCS Manufacturers’ Cup standings. It was a great day for Team Chevy at the Brickyard with Bowtie drivers capturing the top-four finishing positions and six of the top-10 finishers. A total of seven Chevrolet drivers remain in the top-12 in the NSCS standings. Jeff Gordon, No. 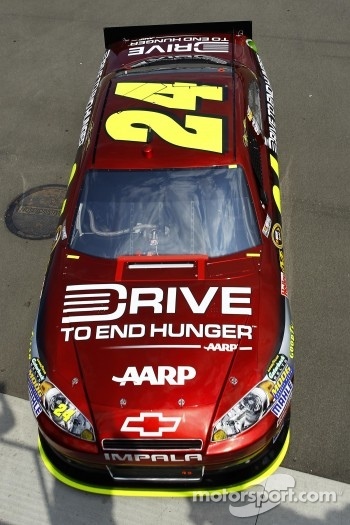 24 Drive To End Hunger Chevrolet, crossed the finish line in second place. The four-time NSCS champion and four-time BY400 winner started eighth in the 43-car field and led four times for a total of 36 of the 160 laps. Gordon remains seventh in the standings with two wins on the season with just six races remaining until the start of the Chase. Regan Smith, No. 78 Furniture Row Chevrolet, was third at the stripe. It is the Darlington winner’s second top-five and fourth top-10 of the season. Last year’s BY400 winner Jamie McMurray, No. 1 Bass Pro Shops/Tracker Boats Chevrolet, finished in fourth place for his third top-10 of the season. Two-time NSCS champion and two-time BY400 winner Tony Stewart brought his No. 14 Mobil 1/Office Depot Chevrolet to the checkered flag in sixth place. Stewart jumped two positions in the standings to ninth place. Mark Martin, No. 5 Quaker State/GoDaddy.com Chevrolet, finished in eighth place. Martin is 18th in the standings. Jimmie Johnson, No. 48 Lowe’s/Kobalt Tools Chevrolet, remains second in the standings with one victory on the season. 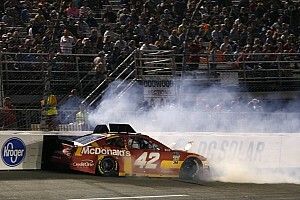 The five-time defending NSCS champion 19th after late race contact with the wall slowed what was a very fast Chevy. Kevin Harvick moved up to third in the points order after brining his No. 29 Jimmy John’s Chevrolet to the finish in 11th place. Harvick has three wins to-date in the 2011 season. Ryan Newman, No. 39 Haas Automation Chevrolet, finished 12th and remains eighth in points with one win so far this season. Dale Earnhardt, Jr., No. 88 Amp Energy/National Guard Chevrolet, sits 10th in points after finishing 16th in today’s race. Clint Bowyer, No. 33 Cheerios/Hamburger Helper Chevrolet, was 13th at the finish and remains in the 12 points position. Matt Kenseth (Ford) was the fifth place finisher. WHAT IS THIS MOMENT LIKE? "You know I've been coming here since I was a kid and my Daddy has been trying to win this race for 35 years,so this is for my Dad. A lot of emotions right now. Slugger Labbe (crew chief) and all of these guys just do a hell of a job. I can't believe we won Indy." THIS MORNING I TALKED TO YOUR CREW CHIEF SLUGGER LABBE AND HE TOLD ME THE ONE THING THEY HAD GOING WAS THIS FUEL MILEAGE AND IT ENDED UP WORKING IN YOUR FAVOR, WHAT WAS IT LIKE WHEN HE TOLD YOU YOU'RE FREE GO FOR IT? "I was saving a little bit and maintaining with the No. 5 and No. 1 and I started backing up a little bit more and they kind of kept backing up with me. I knew that we saved plenty of fuel. I was more worried about the guys that pitted for fuel and coming hard. Slugger had told me where Jeff (Gordon) was and how fast he was coming. The car was really good. Clean air was so important. We stayed out one caution, no tires, took off. Finally got in the back and couldn't do anything so clean air, ECR horsepower, NIBCO is on the hood. Menards and my dad have been coming here for 35 years and its Indianapolis." WE TALKED TO YOUR DAD UP ON THE PIT BOX, HE'S SO EMOTIONAL, WHAT DOES IT MEAN FOR YOUR FAMILY? "It's big you know. My first year here was 1989 that I can remember anyway and I think I was here when I was like three or four years old, just spent a lot of time in the garage area. I didn't miss the Indy 500 from 1989 to 2003, I was here for the inaugural Brickyard 400 in 1994. Just a really special place for my family and myself. Thanks to all the fans. Indianapolis, this is the greatest race track in the world, we've got the best fans here too." WHEN YOU SIGNED WITH RCR WHAT WAS THE REALITY THAT MAYBE YOU WOULD HAVE THE CHANCE OF MAKING THE CHASE BECAUSE NOW YOU ARE A WILD CARD. "We are a wild card. We've had an up and down year. We've had fast cars just struggling to put the deal together, be consistent week-to-week. It's not the lack of effort. Slugger, he's in the shop seven days a week, when he's not at the track he's in the shop. All these guys just bust their tails. Beautiful race cars, ECR horse power is fantastic and we got great fuel mileage thanks to ECR." WHAT WAS GOING THROUGH YOUR MIND WHEN YOU KNOW HOW CLOSE IT WAS GOING TO BE? "The biggest key to me was when we came out of the pits ahead of Harvick. I thought that was huge, so Alan (Gustafson, crew chief) did an awesome job. First of all what an incredible Drive to End Hunger Chevrolet. Right from the drop of the green flag this was a lot of fun day and I had a blast driving. The car was awesome. So when we got in front of Harvick I thought okay, I thought that was the guys we were going to race and then when Alan told me there were guys that were going to try to stretch out fuel mileage all I could do was drive as hard as I could. I was a little bit loose at the beginning and we got in some traffic and the car finally tightened up and then we were really clicking off some laps. Every time I got to a car that was saving fuel they kind of held me up a little bit and made it a little more difficult for me to pass so I knew were weren't going to quite get to Paul (Menard), it was really about him running out of fuel. We tried as hard as we could to put pressure on him and I've got to say as disappointing as it is to not win this race it sure was great to run that good and I've got to congratulate Paul Menard. I don't think there is anybody in this garage area that appreciates a win here at the Brickyard more than Paul. He grew up here as a kid and I think that's pretty special, pretty cool." HOW BAD DID YOU WANT IT ON THAT LAST LAP KNOWING YOU WERE THAT CLOSE? "Well I wanted it really bad you know leading up to that but on the last lap I knew I was too tight behind him and if he didn't run out I wasn't going to get him. I needed a few laps to work on him, well I guess I needed a few more laps for him to run out of fuel too." THIRD-PLACE HERE TODAY AT THE BRICKYARD, HOW DO YOU PUT HAT INTO PERSPECTIVE? "Well, that is the most bitter-sweet third-place of all time because you can see the leaders. I saw the No. 27 and I knew he was on the same strategy as us and I wanted to go and he went and we decided to pull the reigns back a little bit hoping some more of them would run out of fuel and then I saw the No. 24 come and I thought we are in trouble now because he doesn't have to save at all so that kind of made our decision for us. The bitter-sweet part is because I'm so happy for Paul Menard down there. I know what this race means to that family and to him in particular. I can't wait to get to victory lane and congratulate him, that's a really cool deal." WHAT DOES IT MEAN FOR THIS TEAM TO HAVE THE KIND OF YEAR YOU HAVE HAD, NOT JUST THE WIN BUT THE STRIDES YOU HAVE TAKEN? "Well we needed to. We felt like we were a team capable of taking strides. We had a top-10 car today, that's what we had. If things played out correct we were going to finish right around ninth or 10th. The strategy was played out for us when the No. 51 car wrecked. We got our grill covered up in grass and actually had to pit and clean it off and go to the tail end. We pitted right before the green came out and it worked out perfect." HOW CLOSE WERE YOU ON FUEL? "It was really close. I was confused because initially I thought he said two laps then I thought he said half, I just wanted to know if it was half or two and how much I needed to save. I got by the No. 27 because I wanted to be leading the race. I knew it was going to be easier to defend than it was going to be to try to pass when everyone decided to take off. We got a little bit lucky today but really happy. We've had a tough year and a lot of things go wrong and a lot of bad luck and its very nice to have good luck. We had Johnny Morris here form Bass Pro Shops today and the folks from Lift Master. Had a good Chevy and had a good finish." YOU MADE A PASS ON THE NO. 27, A FEW LAPS TO GO, THE NO. 24 IS IN YOUR MIRROR, WHAT WERE YOU THINKING? "When he said the No. 24 was two seconds back I was honestly thinking I would rather lead this and run out of gas than finish second and have enough left and think you could have won again. It's so hard here and the Daytona 500, its so hard to put yourself in that position, you just don't want to ever give them the chance. Certainly congratulations to Paul Menard. He's a really good guy and his crew chief Slugger, all those guys, that's really cool to see someone like that win." WERE YOU CHASING THE BALANCE ALL DAY: “Just traffic. Track position in clean air was perfect. It was good. It’s hard to adjust on a car when you’re in the middle of traffic like that. There’s no air back there. You can over-adjust way too easy, so we just tried to tinker with it. We just knew we were sucking that air and there wasn’t much we could do. The balance was going to change. We just did damage control today. We just tried to finish the best we could without killing ourselves in the points and it worked out good. The No. 14 (Tony Stewart) finished ahead of us and everybody else that we needed to outrun, we did today. That’s what we’ve got to do right now. We’ve got that win, so now we’ve got to just manage our points. YOU CAME HOME WITH A 16TH-PLACE FINISH AFTER LEADING OUT THERE AND AT THE END YOU WERE ON A GOOD FUEL STRATEGY, HOW DO YOU THINK IT WORKED? "We run 16th, I don't know if that was the best strategy out there. Congratulations to the No. 27 and that gang. Slugger and Paul they are a good racing group and they work hard. We had a good run. Our car drove pretty good. We cycled around and didn't have the track position at the end and that is all it was. Everybody was on a lot different strategies too. We lost a little track position there on one of the pit stops. I come down behind this guy. I got out of my stall and I should have come off of pit road around fifth or third, we came in third.and I came out of my stall and this guy was going really slow all the way down pit road so I lost 10 spots just waiting on this guy to go into his stall which he was way down there and just cost us a lot track position there and you can't get it back. Track position is tough at this place. We didnt' have a good enough car and I wasn't wheeling it good enough to run like a couple of them were. Some of those guys could get up there pretty good but our car was struggling in traffic."